Publimetro: Iran-bound S-300 anti-aircraft systems ‘dismantled’-Russia? Iran-bound S-300 anti-aircraft systems ‘dismantled’-Russia? The S-300 anti-aircraft systems that Moscow planned to deliver to Iran under agreements from 2007 are now completely dismantled and recycled, the head of the company producing the S-300 systems said. “This is absolutely credible information,” he said. “The list of equipment is different here, the special requirements are different and the software is different too,” he said. Moscow and Tehran have signed the $800 million deal in late 2007, but three year after Russia decided not to ship the S-300 missile systems to Iran. The move followed a new batch of sanctions against Iran and its nuclear program by the UN Security Council, which prohibited the sale of modern weaponry to the country. Moscow said the contract to supply the S-300 systems produced by Almaz-Antei to Iran fell under the international restrictions. Tehran reacted by filing a $4 billion lawsuit against Russian weapon exporter Rosoboronexport to the International Court of Arbitration in Geneva, Switzerland. 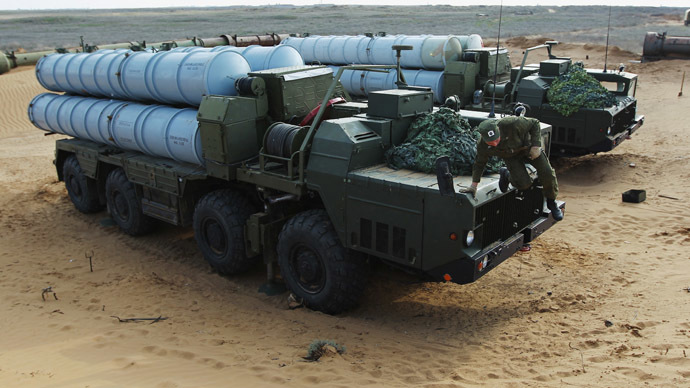 In June, media reports claimed that Russia had offered Iran to replace the S-300s with the more capable Antey-2500 anti-aircraft systems, but Tehran denied those reports. This week Iran’s ambassador to Russia said that his country was “ready to show flexibility” on the S-300 issue, but didn’t reveal any further details.